The Crazy Bookworm: The Longest Ride Q&A with Nicholas Sparks today at 1pm! The Longest Ride Q&A with Nicholas Sparks today at 1pm! 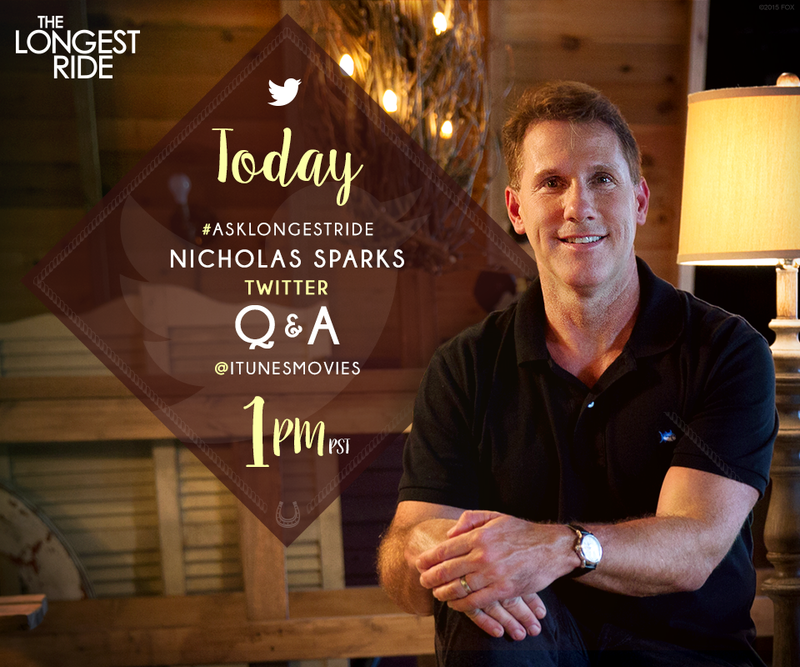 Today iTunesmovies and Twitter are joining forces to bring you an epic event with my author husband *clears throat* I mean Author Nicholas Sparks! 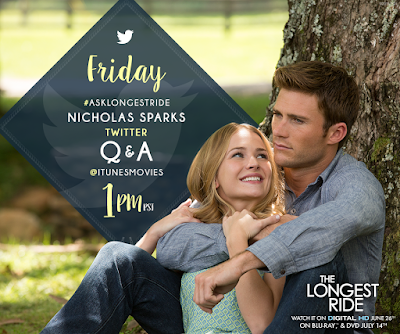 You clearly, most definitely DO NOT want to miss out on this epic(did I say that already?) event! I will be joining in, so I hope you will be, too! Share this with your friends, family, readers, neighbours, pets, anyone that you think may enjoy this event...And let's face it, that will be everybody!